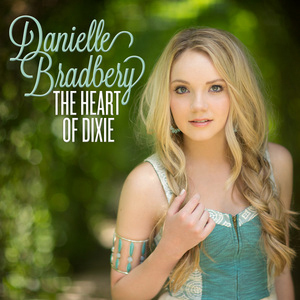 Danielle Bradbery's first big single post-"The Voice" gives her her best digital singles sales week to date as "The Heart Of Dixie" sold over 78k this week while Hunter Hayes, Brett Eldredge and Brad Paisley reach Platinum and Gold-certification levels. Read on here to see the complete Top 30 chart! 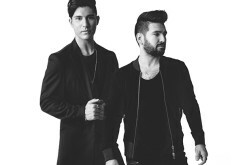 Florida Georgia Line’s “Cruise” once-again holds the pole position on the chart selling another 158k downloads of the track with sales now eclipsing 5x Platinum. Hunter Hayes “I Want Crazy” now is Platinum-eligible. Things look good for Florida Georgia Line to break the all-time Billboard Hot Country Songs chart record with "Cruise" remaining a wonder of airplay and sales and having sold over 5 million downloads in just 40 weeks on the charts. 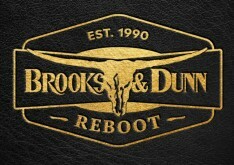 The Republic Nashville duo remains #1 this week on the Top 30 Digital Singles chart while Danielle Bradberry, their BMLG label mate sits at #2 with 78k copies of "The Heart of Dixie" sold in its first week on the chart. Hunter Hayes' newly Platinum-eligible single "I Want Crazy" is at #3 while Blake Shelton's "Boys Round Here" is #4 with sales nearing 1.7m sold. Finally, rounding out the Top 5 is Darius Rucker's "Wagon Wheel." That track has sold nearly 2m copies. “Crash My Party” “Round Here” and “Runnin’ Outta Moonlight” Lead The Way But It’s All “Redneck Crazy” Towards the End of the Top 10. Randy Houser sits at #6 on the chart with "Runnin' Outta Moonlight" and he's now sold 700k tracks. 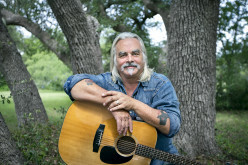 Right behind him is Florida Georgia Line's "Round Here," a song which surpassed the 400k mark with Gold two weeks away. Luke Bryan's "Crash My Party" is #8 and has sold nearly 1.1m tracks. Right behind Luke to round-out the Top 10 are newcomers Tyler Farr with "Redneck Crazy" (a song nearly Gold) and Thomas Rhett's First Top 10 Digital Single (as a singer), "It Goes Like This." The song which is rising towards the Top 20 on the Airplay charts has moved nearly 300k copies to date. Brett Eldredge has many things to smile about these days. Not only does he have an album out in a couple of week but "Don't Ya" his first Top 10 hit single. He can now add Gold-selling artist to his portfolio as "Don't Ya surpassed the mark this week while Carrie Underwood's "See You Again" is a couple of weeks away from Gold. This week's Riser of the Week is Jason Aldean's "Night Train" and the single looks like it'll be on its way to its own Gold-certified status in the coming months. Chris Young's "Aw Naw" continues its rise and is just ahead of Brad Paisley's "Beat This Summer" has surpassed the 500k sold mark (it's at 503k) so that means he's eligible for his own Gold-certified single from the RIAA, the first such chance for Paisley since "Remind Me" was certified Platinum in 2011. Cassadee Pope has moved past the 200k sales mark for “Wasting All These Tears” as the single jumps 15 slots to #34 this week while rising into the Top 40 of the radio Airplay chart. Cole Swindell -- who signed a major label deal this week -- has now sold 125k of “Chillin’ It” and should have a nice swift rise up this and the Radio Airplay chart. He sits at #35..
Joe Nichols “Sunny And 75” is at #36 with sales nearly 77k. Blackjack Billy continues to sell well with “The Booze Cruise” having sold nearly 80k. Will Hoge’s “Strong” debuts at #47 and has now sold 10k in two weeks on the charts. The song benefitted from being the soundtrack to Chevy Trucks new ad campaign.